Last night, we told you about T-Mobile's deal involving a free 32GB Apple iPhone 7. Starting tomorrow, trade in an Apple iPhone 6 or a later model, buy a 32GB iPhone 7, and T-Mobile will reimburse you $650 over 24 months with a bill credit. Today, Sprint and AT&T are publicizing their own free Apple iPhone 7 deals. Sprint's deal also requires you to lay out the money in advance for the free handset. New and existing Sprint customers can trade in an Apple iPhone 6, Apple iPhone 6 Plus, Apple iPhone 6s, Apple iPhone 6s Plus, Samsung Galaxy S7 and Samsung Galaxy S7 edge in working condition, and receive a free 32GB Apple iPhone 7. The offer is available with a new activation or with an upgrade, and reimburses Sprint customers with a monthly $27.09 service credit over two years. AT&T's deal isn't limited to the iPhone 7, although you can certainly select it if you so choose. Starting tomorrow, if you are a new or existing DIRECTV or AT&T subscriber, move over your account from an existing carrier. Do that, and you will be eligible to get reimbursed up to $695 in monthly service credits for the smartphone of your choice. Of course, you will be required to lay out the money needed to buy the phone in the first place. Business customers will receive an additional $200 per line that is switched. If you don't mind laying out the money for a new iPhone 7 in advance, T-Mobile, AT&T and Sprint are giving you the opportunity to get that money back in two years. If one were a cynical person, he or she might say that the carriers are still offering two-year contracts albeit in another form. Sounds tempting. But I'm not giving up unlimited data. Right on! But you realize, one day they're going to take it away from us. I have unlimited Data with AT&T and I get to use my upgrade with out loosing it. I used 106GB last month. I tried T-Mobile unlimited data for two weeks and it was good for like 3 days but call reception sucked balls. I would drop so many calls. Data speeds were good but the call reception was horrible. Derek, I get the upgrades too - I get the subsidized $200 flagship device with a two year contract, but keep unlimited data. 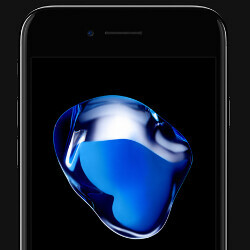 Upgrading my device every two years works for me - I cycle thru the s-models of iPhone. I average about 6gb of data, but sometimes hit upwards of 10gb every now and then. Damn.....Jeter you can afford it. You must be using it as a hotspot or there's lots of Netflix in your life. *****nah....24 months paying those fees. When they are done with me, they would had recovered twice the price of the iPhone. Ted, I know. I already have a plan: I will switch to Verizon - better coverage in my area (from what I hear) and enjoy upgrading my device annually with next or edge program (or w/e it's called). i have unlimited data with att too! Verizon GIVE US YOUR PLAN for current iPhone owners!!!!! Soooo. I shell out 650 that I dont have to have the carrier reimburse me over two years? That sounds like it probably wont work considering most people are financing. Easy way for the carriers to get the phones paid for up front, but really? Good luck carriers. Maybe you should all go back to subsidies and two year contracts, and you would sell more phones and your store will experience traffic like it used too. Did I miss the monthly payment for the new plus on att?